The fencing product is only part of creating the perfect fence for your needs and our helpful folks will be more than happy to help you through every step of the process, regardless of your fencing concerns. Our Fence Contractors are trained and experienced experts in fence installation, automatic gate installation and they will gladly take care of any repairs or requests for custom fences in the Colorado Springs area. Traditional, classic or even rustic are all the images that cedar can convey. Cedar is strong, durable (this is wood, treating or pre-treatment of Cedar is important) and offers considerable options in design and style. The name might fool you but the many uses and forever strong appeal of ornamental iron fencing won't let you down. These strong ornamental iron fences will commonly be found at state parks, around gated communities and are ideal for electronic gates (which will also present a level of prestige). 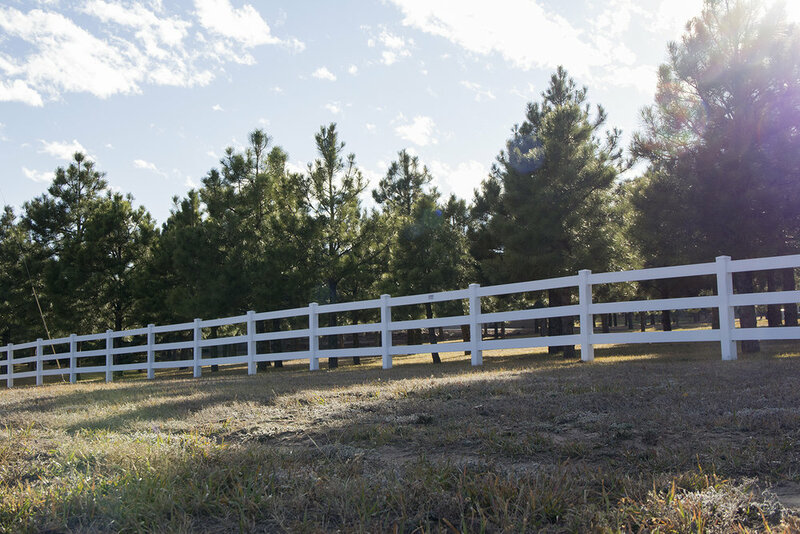 You have probably seen the double barred Split Rail style fencing guarding a Colorado ranch. Perhaps you have noticed those doweled fences as the deeply stained wood adorns the large yard of a nice home. These fences, along with the variable styles of rail fencing are intended to create a definitive barrier. Secondarily, Split Rail and Rail Fencing are traditionally used to keep animals from the family dog to livestock from getting out. In the feel and look of the aforementioned split rail fence styles, vinyl fencing serves the same purpose and is lighter, making it easier to handle. While automatic gates may not be traditionally used with these types of fences, if you have an idea for a custom fence with gate, we love a challenge. Who hasn't seen a chain link fence? Of course this security-first metal wire fencing has been around forever and as long as people have a need to emphasize security, they will be needed. Other fencing options you may consider are Horse Fencing (imagine this as the cousin of the Chain Link Fence), or Hand Rails or rails with a fencing combination for a custom fence, and of course our automatic gate installation. What Kind of Fence Do You Need? Cutomize Your Fence With Law Fence. What kind of fence installation do you need? Our Fence Contractors are not only experienced and creative, they are smart. 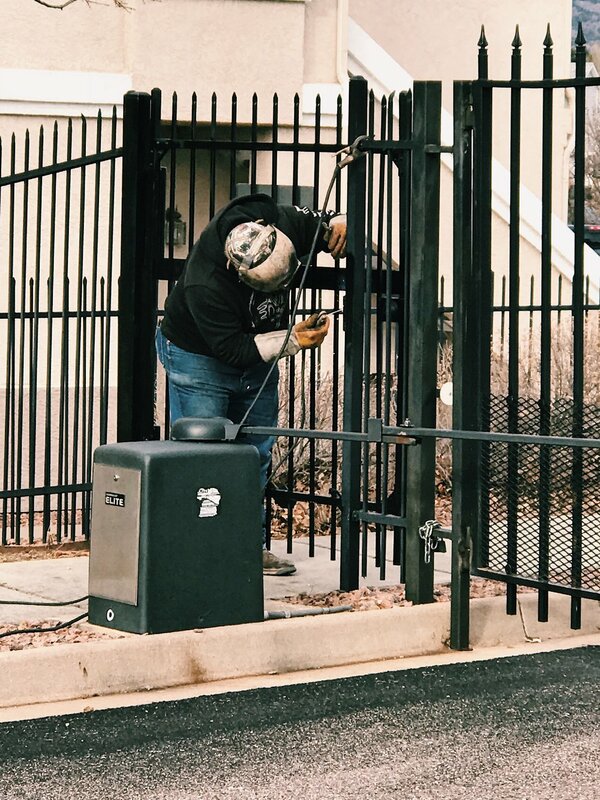 We have built countless custom fences throughout Colorado Springs, including our automatic gate installation options and have even impressed ourselves! Our experts are known for their understanding of everything fencing and our service is second to none. Of course, as we mentioned at the onset, the very best reason to work with a fencing specialist is to get what you want. Law Fence is here to meet your needs, contact us to answer all your fencing questions and help you get the right customized fence for your Colorado Springs home, business or property.